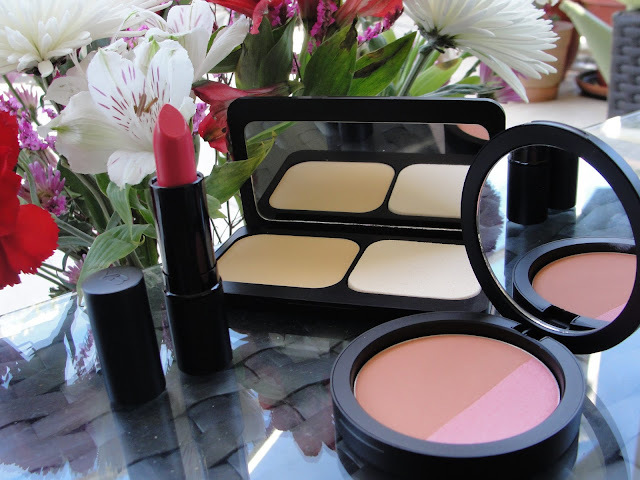 Anyway: Youngblood is a premier luxury mineral cosmetics line made of natural, finely ground minerals from the earth — without any of the common irritants (including chemicals, dyes and preservatives) found in conventional makeup. Created by former medical aesthetician, Pauline Youngblood, many of their products contain the signature mineral blend of Malachite, Rhodolite, Hematite and Zincite to help protect cells and tissue. Of course Youngblood Mineral Cosmetics is a cruelty free brand (find more cruelty free brands here). I tried the Pressed Mineral Foundation, a bronzer/blush palette and a lipstick. The packaging is sleek and modern and feels sturdy. 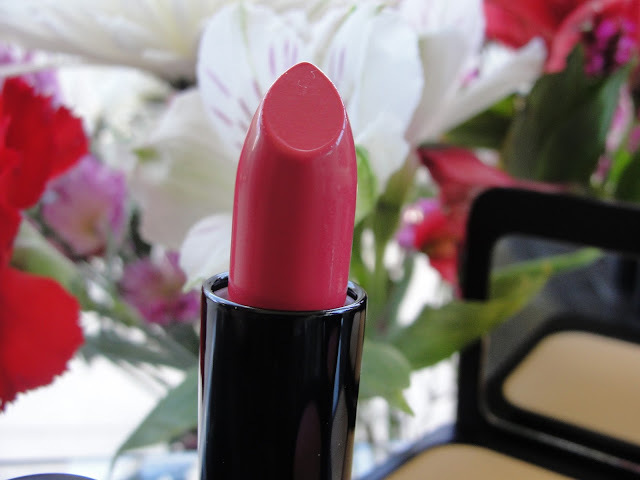 The lipstick I tried was in the color Dragon fruit. I hope no dragon comes to get me but I love this refreshing light coral color- very spring appropriate. 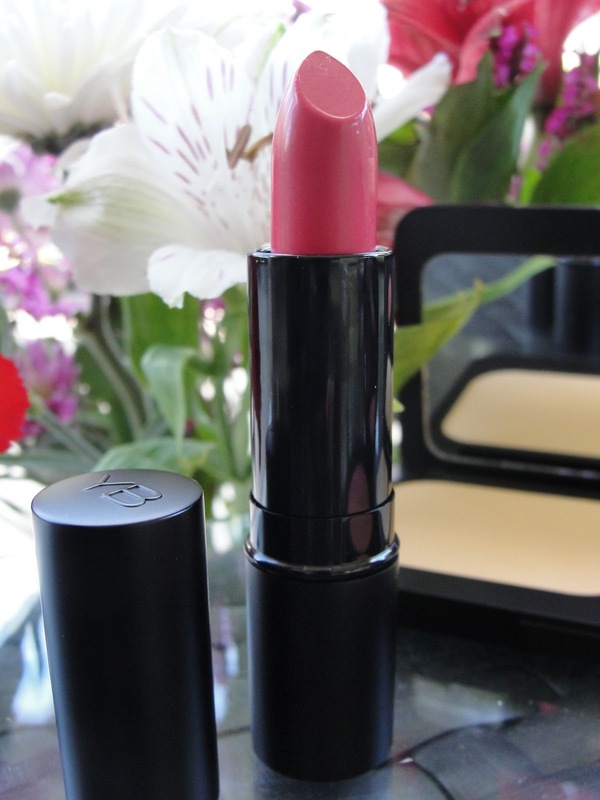 This is a very buttery, moisturizing and creamy lipstick. 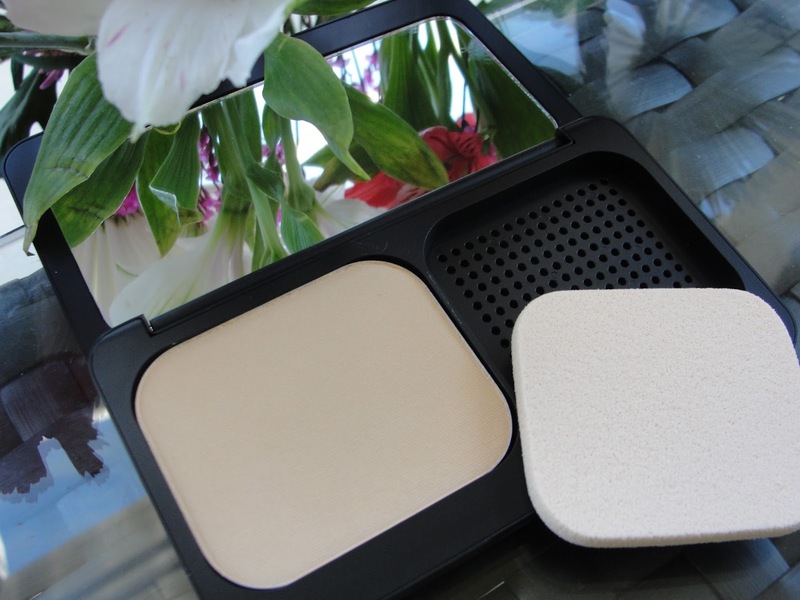 At first I thought, I will never use the little sponge that comes with the Pressed Mineral Foundation, but it turned out that I really needed it, because I found that the application with a brush did not offer me any coverage whatsoever. In fact: I had to also spray some Elf Setting spray onto the sponge to achieve a medium coverage. I have the color warm beige and it is definitely in the yellow range which is great to cover those reddish spots on my face. It provides a matte finish and this foundation is a great choice if you have also an oily face (or combination skin) like me. 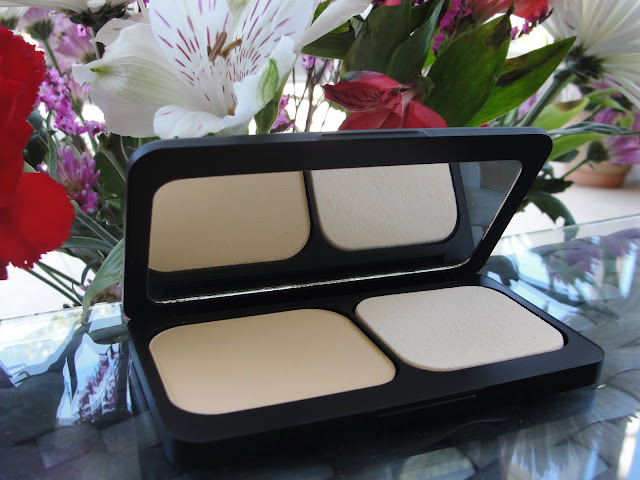 I also find that after the powder sets, it minimizes the look of pores which I really liked. 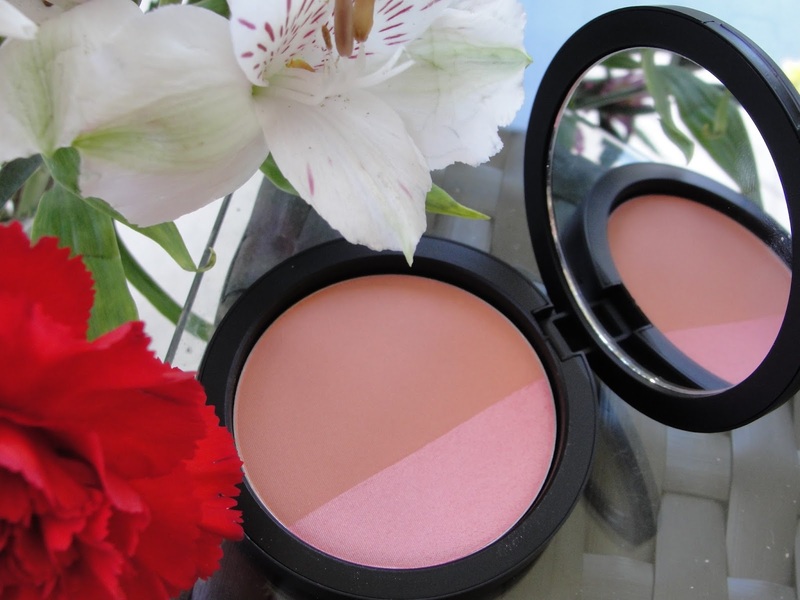 Now let´s get into my absolute favorite item out of the three: it is a bronzer/blush palette called Mineral Radiance and I have the color Riviera. 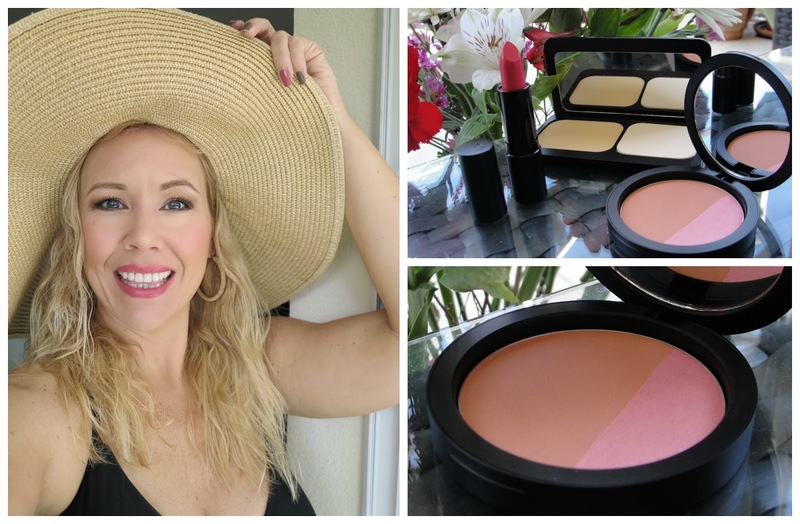 And because this gorgeous bronzer/blush made me feel like in the Riviera, I pulled also my bikini and a sun hat out (pictures below)! LOL!!! 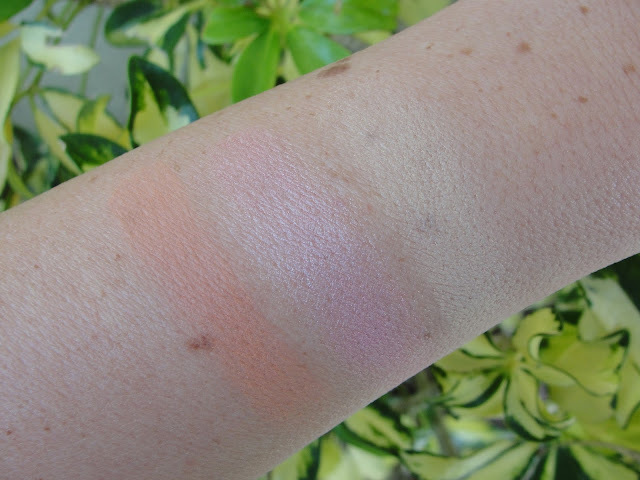 The bronzer is definitely on the orange side- but I find that exactly this hint of orange provides the look, as if you have been one hour in the sun. And, since I decided I can not really put my face out in the real sun (anti aging! )- I must fake it! 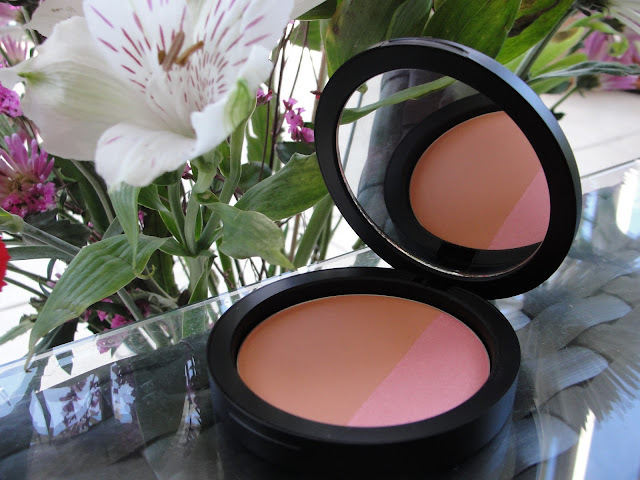 The pink blush has a gorgeous sheen to it and looks absolutely fabulous. Both applied, I feel like I look tanned, refreshed and glowing...and as if I just came from the Riviera! 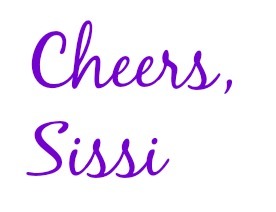 Love this beautiful gem! Find out more about Youngblood Mineral Cosmetics here!